Ferndale, MI – One of Ferndale’s hidden gems is a party store at the corner of 10 Mile and Hilton called Get n’ Go. This family-owned business has an abundance of things you’d expect – booze, lotto tickets, sodapop and candy. But along with that is a delicious surprise – a food counter with absolutely delicious home cooked meals. Pizza is an everyday item, including gourmet styles like chicken ranch and bbq. There is also often Middle Eastern cuisine like kabobs and schwarma. And my favorite occasional item is when the owner decides to make stuffed cabbage. There is none better in the world in my humble opinion. Recently I was lucky to have gone in on a day when there was salmon available. 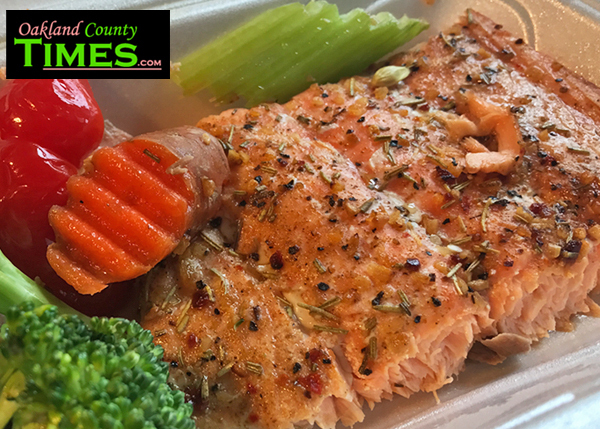 Cooked with fresh veggies, the salmon was of flavorful high quality and seasoning. I paired this delicious fish with a side of rice, which was made with peas, potatoes and little pieces of chicken. The thing about Get n’ Go is that you never know what special items may be in the hot case for the day. There are always multiple choices, but the items depend on the family matriarch’s moods. To some this may seem frustrating (especially if you are in love with stuffed cabbage and they don’t always have it), but to me the surprises are part of the store’ charm. Get n’ Go recently remodeled their exterior and expanded their kitchen area to work on growing the catering aspect of their business. 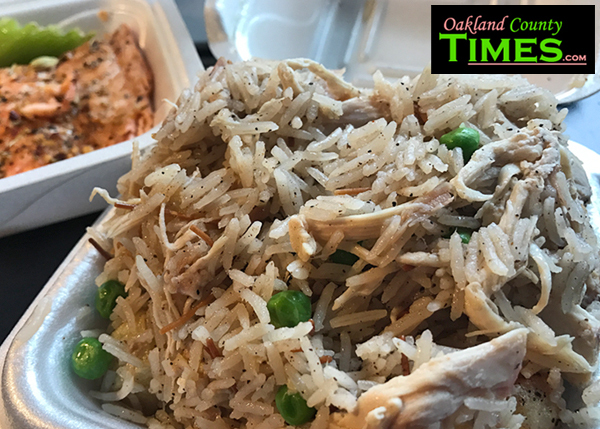 Check them out at 3366 Hilton Rd, Ferndale, MI 48220, and online at http://www.getngoshawarma.com/. For other “Reporter Food” columns visit http://oaklandcounty115.com/category/food-blogs/.